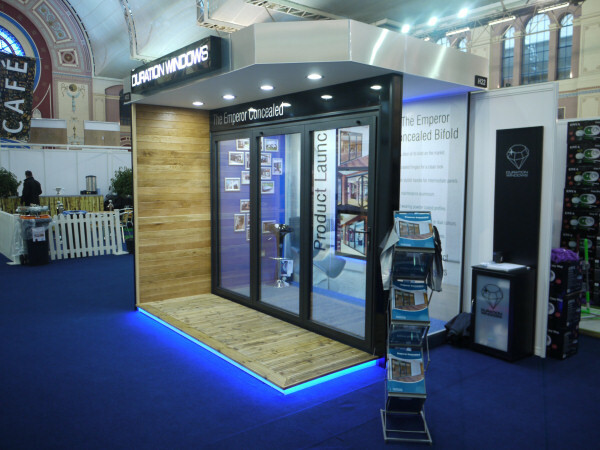 Between the 30th January and 1st February in 2015 we exhibited for the first time at The Southern Home Show at Alexandra Palace in London. 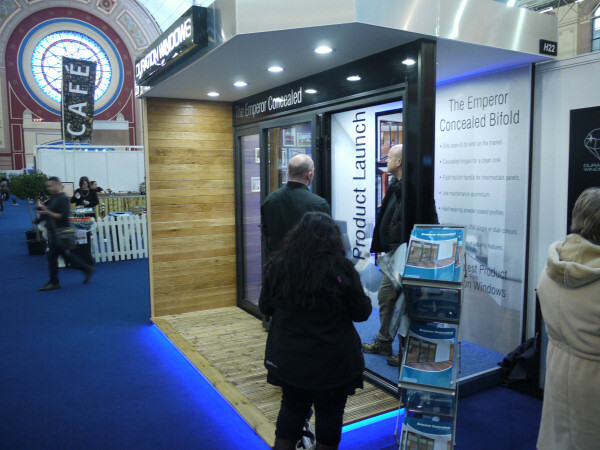 We attended this show as part of the product launch for our Emperor Concealed Bifold Doors. These doors were new to Duration Windows in 2014 and at the start of 2015 and we were looking to push these door in a big way. 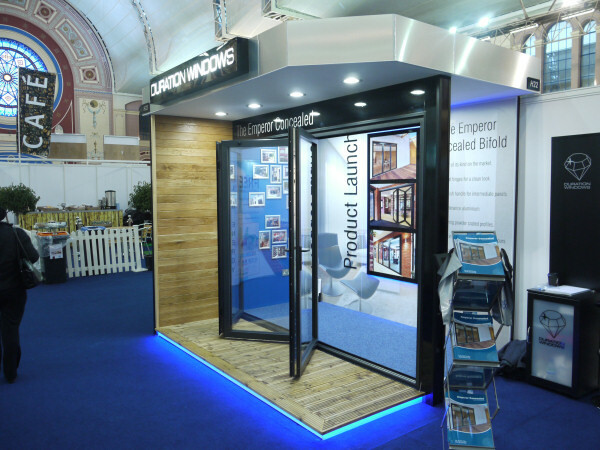 Unlike conventional bifold doors they do not have any unsightly hinges breaking up the clean lines of the door, and the handles are recessed into the sash profile. The specially engineered hinges are fully concealed when the doors are closed, resulting in a clean, tidy and contemporary look. 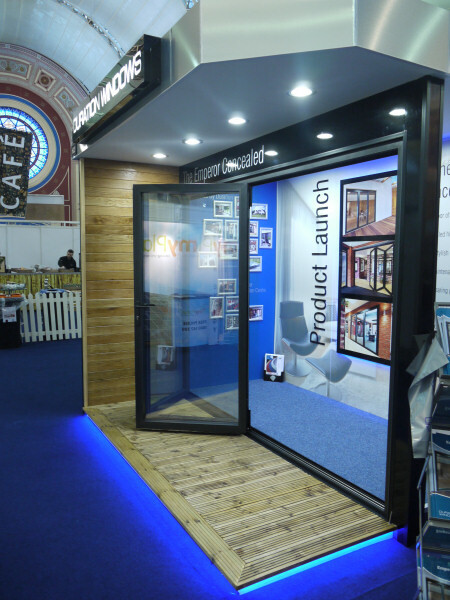 In 2015 The Southern Home Show was returning to Alexandra Palace for it's 2nd year and we had booked to go in November 2014 after receiving a good deal after one of the exhibitor had cancelled. It's quite a small relaxed show and it's fair to say that we had fairly small expectations of the show, but we feel that the show was a huge success, we were impressed with the number and quality of the visitors and we were also pleasantly surprised by the number of people that came down especially to see us. We do not often venture over to the other side of London and so a few customers that often get a chance to come and see us popped in to say hello. 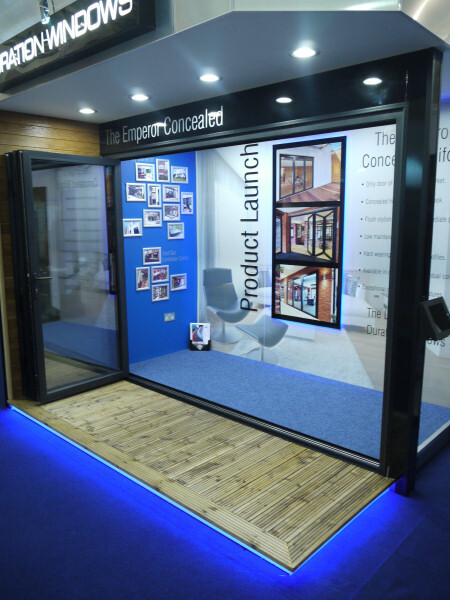 The Emperor Concealed Bifold was very well received, and so we now have very high hopes for Build It Live at the end of this month.